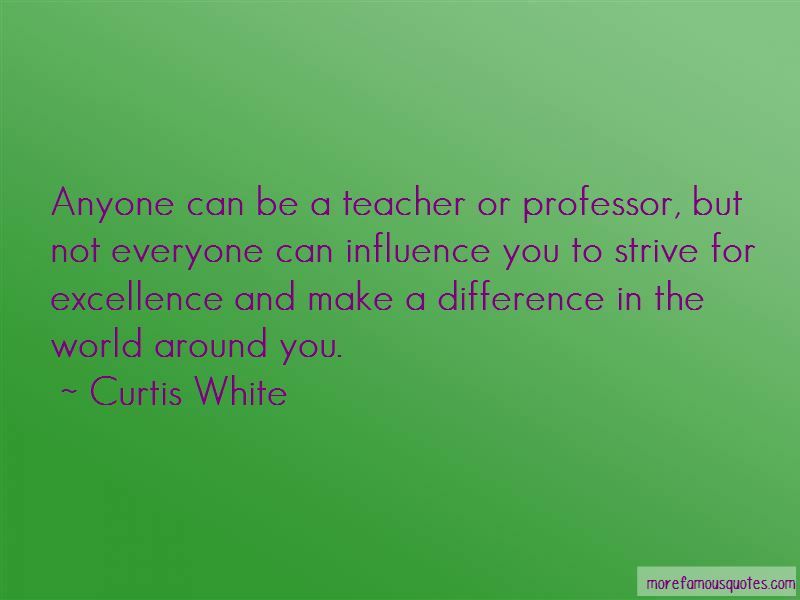 Enjoy the top 5 famous quotes, sayings and quotations by Curtis White. 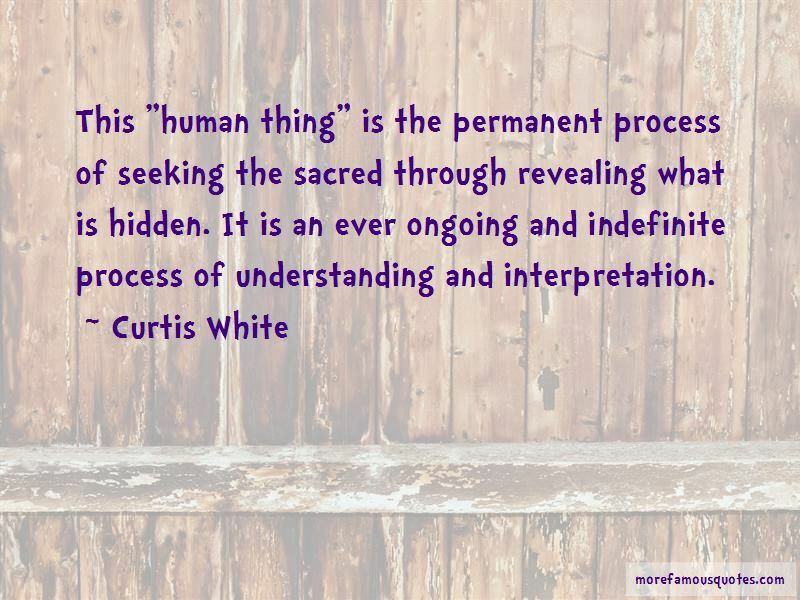 “This is the arena in which a spiritualized disobedience means most. It doesn't mean a second New Deal, another massive bureaucratic attack on our problems. It doesn't mean taking to the streets, throwing bricks through the window at the Bank of America, or driving a tractor through the local McDonald's. It means living differently. It means taking responsibility for the character of the human world. That's a real confrontation with the problem of value. In short, refusal of the present is a return to what Thoreau and Ruskin called "human fundamentals, valuable things," and it is a movement into the future. This movement into the future is also a powerful expression of that most human spiritual emotion, Hope. Few things in cultural programming in the mass media are quite as disturbing as watching Charlie Rose leaning forward, craning out over his table, peering deeply, on the very precipice of an incisive question sure to reveal a real Idea, a slim, almost excited smile starting to form on his lips as he imagines the dawning joy of the intellectual life revealed for himself and his audience, and we move with the camera, oh-so-sincerely, to his guest and see that all this expectation and anticipation is addressed to ... Lance Armstrong. Or Ron "Opie" Howard. 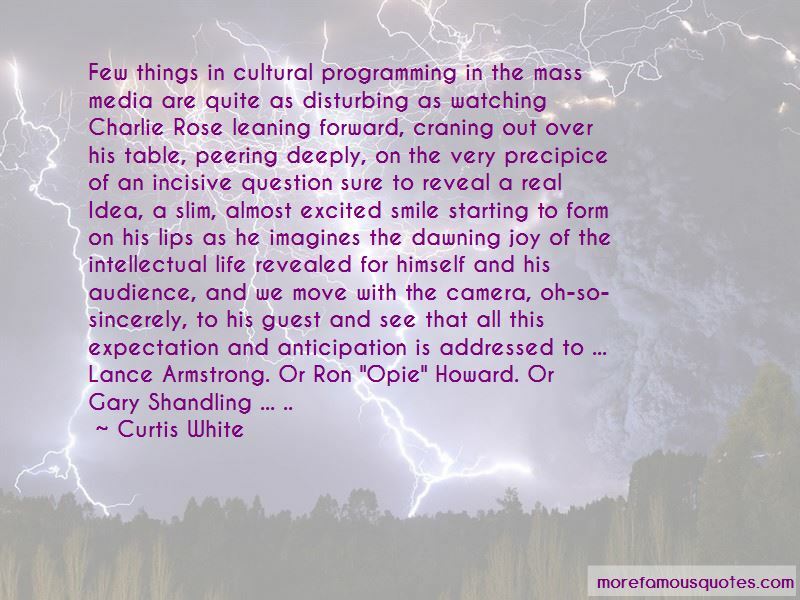 Or Gary Shandling ... ..
Want to see more pictures of Curtis White quotes? 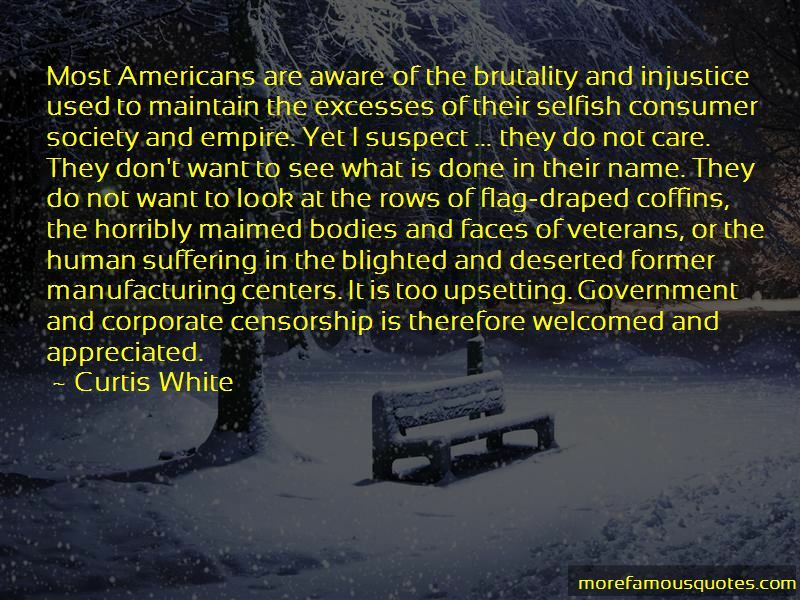 Click on image of Curtis White quotes to view full size.